Philanthropists give me hope for us as a species. These are the wonderful people who make an enormous amount of money and then choose to give it away, or at least share a great deal of with those in need. Perhaps it was a direct result of the fact that we had some of his pasta sauce for dinner last night, that Paul Newman’s name immediately came to my mind for a post on Philanthropists. This son of Jewish Hungarian/ Polish immigrants would become one of the most beloved and well-known celebrities of his time. This movie star, actor, race car driver and political activist attracted legions of admirers all of his life, but he is dearest to my heart primarily because of his great concern and compassion for so many others, all of his life. It doesn’t hurt that he is also a fellow Buckeye! Paul’s life was full and rich and filled to the brim with accolades for films and racing, but to me, it was what he did away from the glitz of Fame, that made him such a remarkable human being. A true mark of his infinite wisdom and great class, was in his choosing and remaining married to his beautiful wife, the quite talented actress Joanne Woodward for 50 years. He did indeed have steak at home and it was Filet Mignon in my opinion. Newman’s Own began in 1982 with writer, partner E. A. Hotchner and the extensive list of products that they now produce includes, everything from pasta sauce to pet food, as is aptly demonstrated with the newest Newman Company Branch that includes Organics like, pet products, snacks and coffee. Newman’s name can now be found on everything from popcorn, to pet food and pizzas. I am a great supporter of the Organic arm of his Company and we have tried many of the products and like the fact that with every purchase, we are helping someone, somewhere. The one common ingredient in all of the products that the Newman Companies provide and produce is: quality. Aside from the multitude of great food products, this warm and generous soul began in 1988, a wonderful place for kids with serious illnesses with his “Hole in the Wall Gang“ Camps. 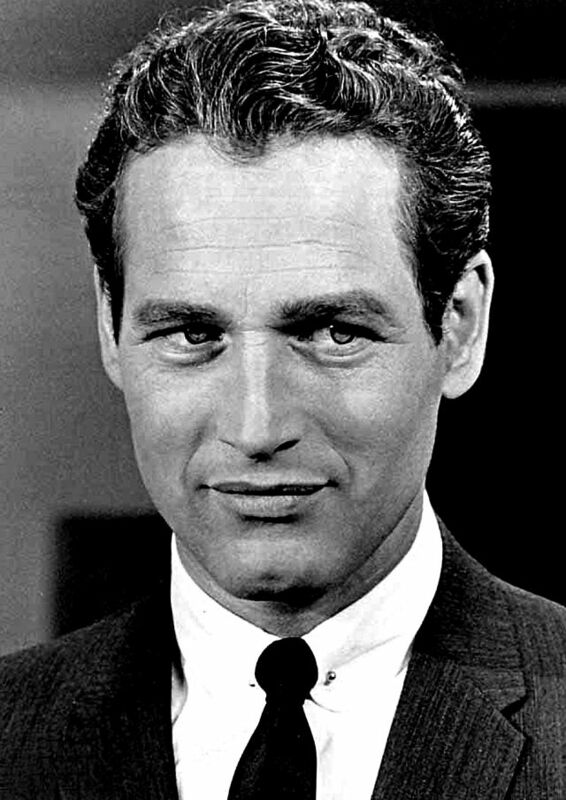 Although for millions around the world, Paul Newman will always be remembered as the quintessential, glamorous and exciting, movie star/actor, to me, he was much, much more, he was Paul Newman, the Philanthropist.